April is National Car Care Month, so why April you might ask? Well winter has ended, meaning it’s time to get your vehicle ready for those spring and summer road trips! All throughout this month we have been reminding you to take care of your vehicle and to check on those things that might have been ignored during the winter months. As drivers, we do not want to overlook any important maintenance, so April makes for a great month to focus on any vehicle maintenance that might need your attention. If you are not vehicle maintenance savvy don’t worry, bring your vehicle in to our GM Certified Service Department and we’ll take care of the rest for you. Our qualified technicians are available and ready to get your car in tip top shape this spring and summer. We’d also love to highlight our brand new Detail & Tint Center, offering a variety of aftermarket car care services. Pick and choose what you may need or want with package deals and a la carte’ options. Taking care of your vehicle and following routine maintenance will ensure safety and the longevity of your vehicle, not to mention who doesn’t love saving money and avoiding expensive mechanical issues in the future! 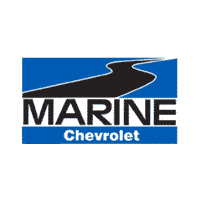 For the best vehicle maintenance, window tinting, and detailing service in Jacksonville, N.C. and surrounding areas, look no further than Marine Chevrolet Cadillac.